Anderson Studiowork: An ArtBlog: 1500 SE Hawthorne Blvd. This was my view looking west towards downtown Portland in 2005. My apartment had the feel of a hamster cage, but it did offer an elevated panorama of the surrounding trees, rooftops, and sky. 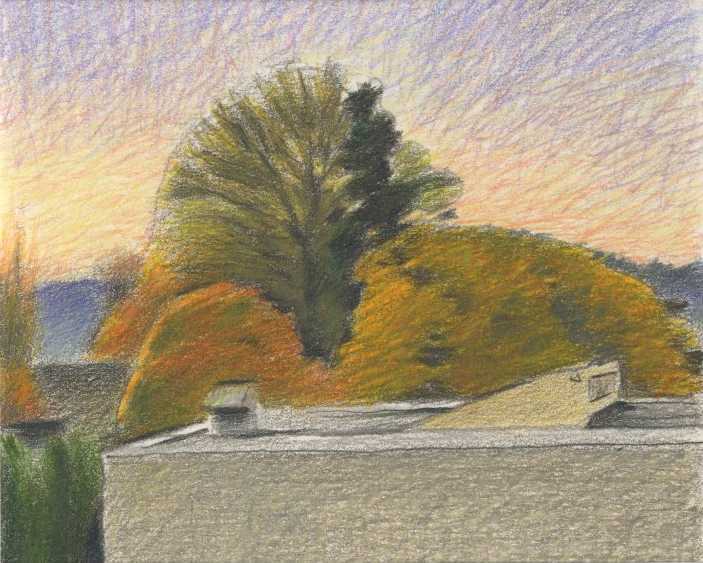 This study was done in color pencil on a fall evening. 7 x 6 inches, color pencil on archival matboard. I remember that apartment well. We watched fireworks from that window one night.